Why ORIENTAL Rubber Conveyor Belts? 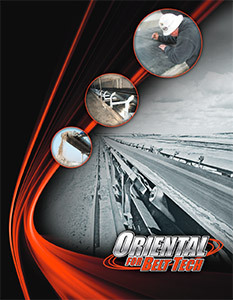 Equipment operators have benefitted for many years from using ORIENTAL Rubber Belts on their conveyor systems. We’re confident that, even in the toughest applications and conditions, you can rely on the high quality materials, workmanship, and technology that go into these conveyor belts for lasting productivity.